Disney’s World of Color opened last night at Disney California Adventure and I was lucky enough to be among the select media and celebrities to be able to see it before it opens to the public tonight. DIS Senior Correspondent Dave Parfitt was able to join me for the festivities and was able to score some great interviews and soundbites which I’m sure you’ll hear soon. Dave is also putting together some pics and thoughts about the “blue carpet” event and I’ve been asked to share my opinion of the show itself. Continue reading for more. Before I even start, I want to say that I had a great time last night and would do it again in a heartbeat. The company was great, the after party was awesome and the spectacle of it all was just amazing. That said, I think I’m going to have to split this blog into two parts, because [spoilers ahead] I’m not happy with the way the blog ends. I’m set to see the show again late Saturday night (I booked one of the Dining Packages) and I will report back to you with Part II then. But for now, on with the Part I. 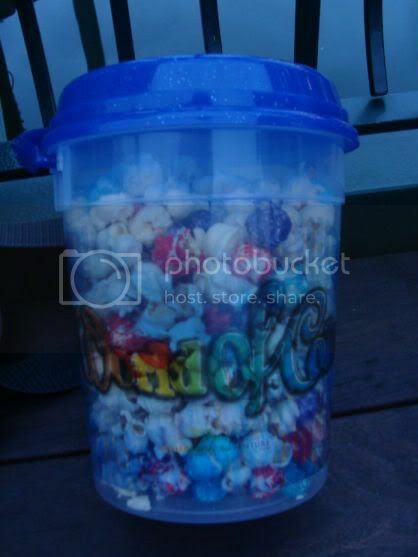 Following the celebrity entrances, we were escorted to our spot, stopping to pick up some special World of Color popcorn along the way. We were instructed to stand on the lowest level of Paradise Park, directly to the left of the stage. We weren’t right against the railing, but a few people back. 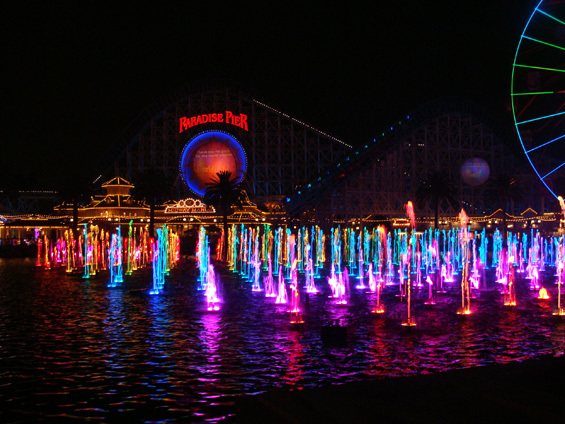 I can honestly say that this is probably one of the worst spots to watch World of Color from. 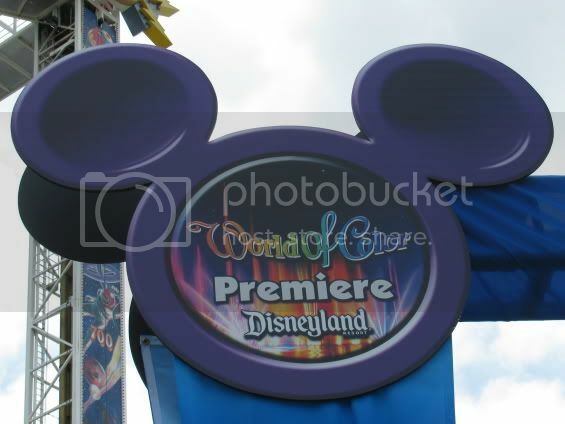 I’ve “spoiled” myself and seen some of the home videos and promo videos, so I know that those fountains can do amazing things, but from our vantage point at water level, we were looking straight at the front line of fountains and I don’t think I saw half of what the rest of the fountains were capable of. I could still see the screens, the fire, some of the high level stuff. But any of the grid work or patterns were not discernible from where we were. I wanted to see all of the cool stuff I saw on YouTube! Please don’t misunderstand, I’m not saying that this is a bad show. 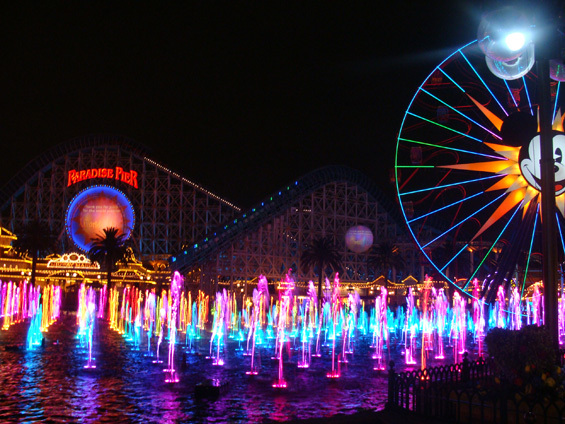 There are some great effects, great music and it’s great how they integrate the Paradise Pier/Park area. However, only a few thousand people a night are in a position to see the show the way it was meant to be seen. I think that’s a problem. The good news for you planners: The area that we were in is NOT one of the areas reserved for FastPasses or any of the Dining/Picnic Packages! Like I said in the beginning, I was asked to share my opinion, so here it is: Don’t see this show unless your view was better than the one I had, especially if it’s your only chance to see the show. 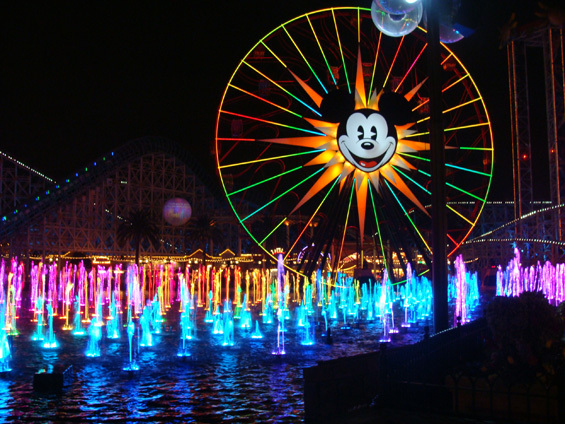 It’s not fair to you and it’s not fair to the Imagineers that created this wonder that is World of Color.